There is no better time of the year, than Fall, to get out the crank baits. Bass feel the need to store up extra weight for the winter and start feeding on their two favorite food sources: baitfish and hopefully a few crawfish. Crawfish are still present and need to be kept in mind when selecting crankbait patterns and colors but the bread and butter of the season are the shad patterns. In Fall shad have grown fairly large and bunch up around mouths of creek channels and other areas close-by. Bass will often ambush baitfish that move through these areas or push them from open water to the shoreline, thus pinning them in for an easy meal. When trying to develop a crank-bait pattern it is very important to really commit to it. Many anglers give up to soon if they don’t get bit in the first hour. The need to feel a tug at the end of the line, overwhelms many anglers and they put down the cranking rod for a worm rod and start throwing plastics. The best way to develop a crank-bait pattern is to put all other rods in the rod locker, place two cranking rods on the deck with five or six crank-baits that have different colors, patterns and running depths. A few crawfish colors and the rest shad imitations. Start where feeder creeks run into the main lake channels and look for areas where shad may be present. 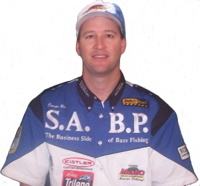 If you are graphing schools of bait around the points and in the cuts start cranking. The key to establishing the crank-bait pattern is to never give up looking for it. Commit to finding the pattern and slowly the pieces of the puzzle will fall into place. Once a pattern is established, the crank-bait will generally put bigger fish in the boat. Line size is also an important part of cranking. Different lines sizes impact the running depth of a crank-bait. A bait that runs in 8ft of water using 10 lb test will run in only 6 to7 ft with 12lb test. Generally the rule of thumb is: 10lb test for open water or lack or trees and brush in the water and 15-20lb test for areas with heavy cover. 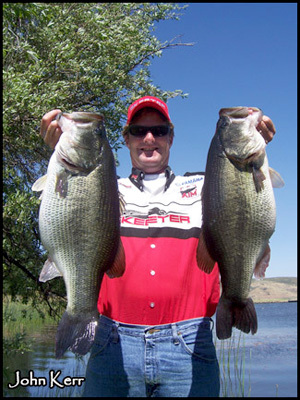 Fall is indeed an outstanding time of year to catch a lot of fish on a crank-bait. Having the right bait is important as well as committing yourself to developing and understanding a pattern that works.